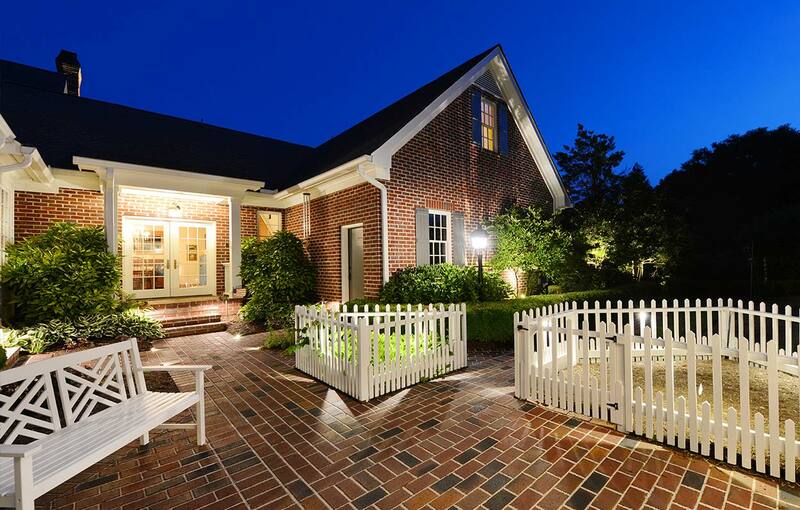 Earthadelic was commissioned to help enhance a property modeled after a Colonial Williamsburg home. 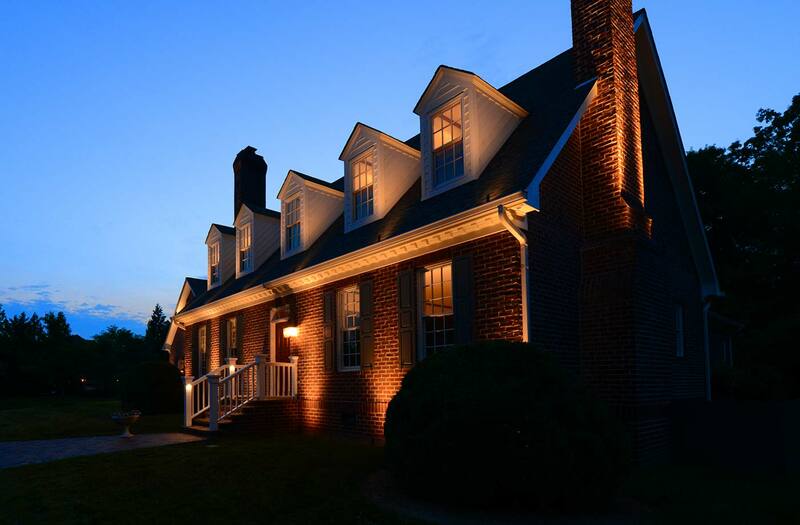 In three phases, we tackled the overall landscape of the front, back and surrounding areas of the home, an intensive landscape lighting plan, and a precision irrigation system for three acres of land. 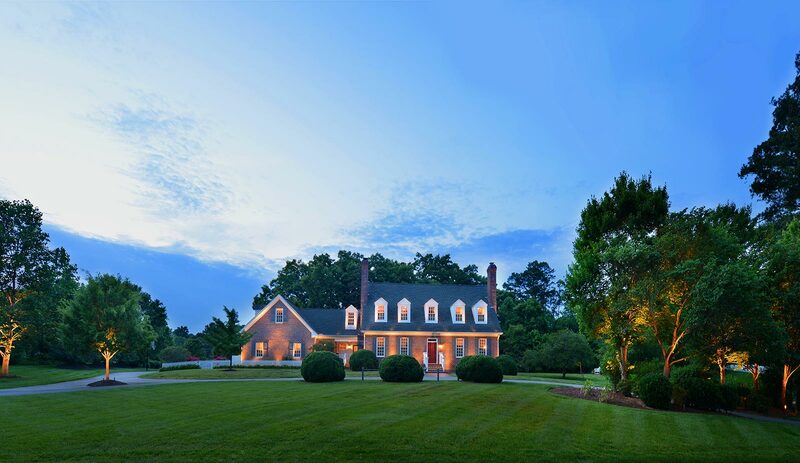 While this home exudes simple elegance and a clean manicured landscape, there were over 650 native plants and trees incorporated to the overall plan. Like most projects, this one started with the desire for something new. 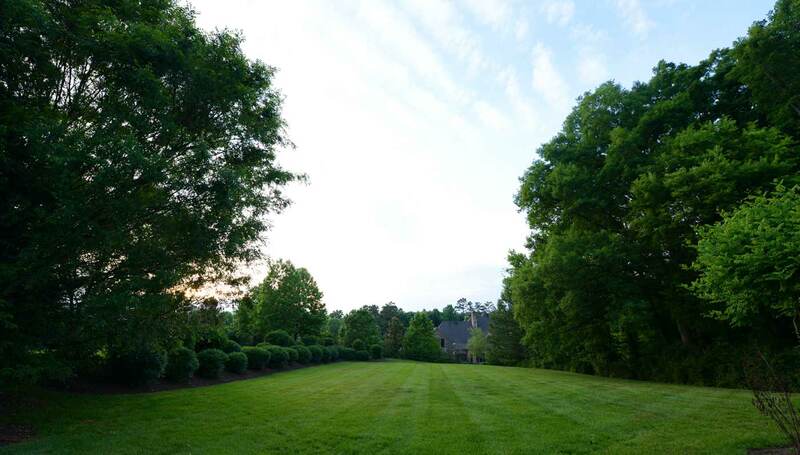 We met with the homeowners, determined the unwanted vegetation and shrubs, and began working on the design plan that would best fit their needs. 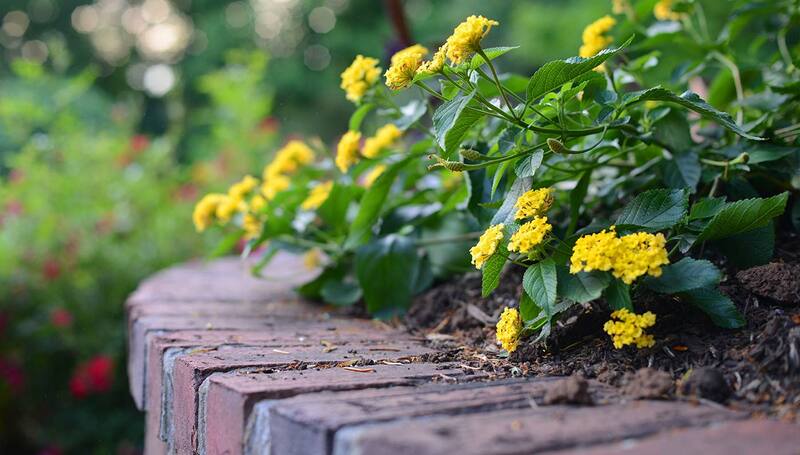 The first step was creating and implementing a landscape design for the home that incorporated the elements the homeowner’s wanted such as a big lush lawn, an herb garden, and a color garden. With over 650 native plants, flowers, and trees to incorporate into the landscape, there was plenty to work with for the front of the home, the back, and the color garden on the side of the home. 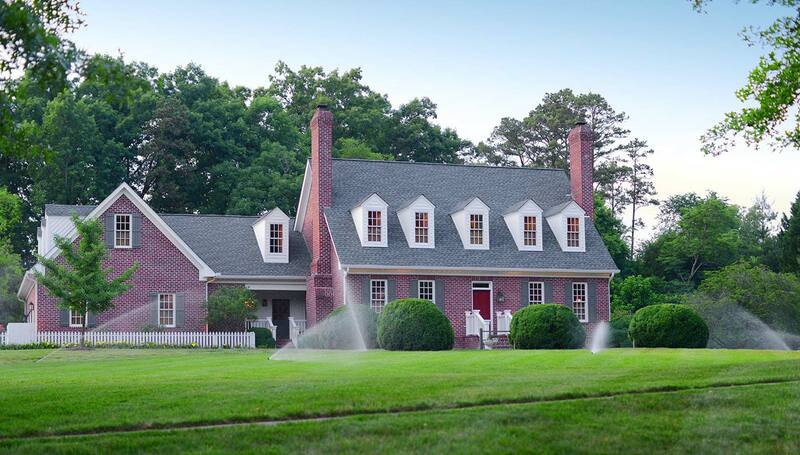 In order to maintain the lush green lawn, we installed a custom precision irrigation system with high capacity valves and flow control. After working so hard to beautify your home, why not put it on display at night also? Using the bronze Cast Craftsman (copyright logo) series, we combined a variety of strategically placed lights to illuminate the trees, pathways, and unique texture of the brick walls. Since the homeowners love to cook, they wanted a place to grow their own rosemary, basil, sage, parsley, and more which we ordered from a local greenhouse in Knoxville. 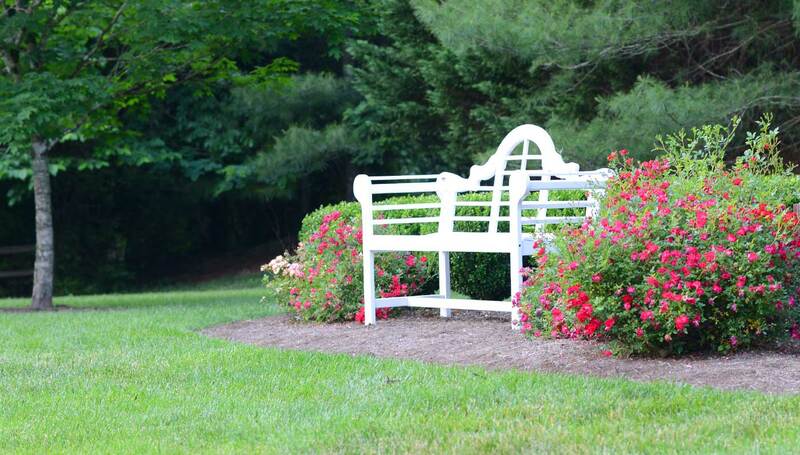 This lovely sitting area is surrounded by the multiple variety of colorful plants ordered for this project including daisies, hydrangeas, ice plants, knock out roses, and more.